Tom Olsen, age 69, of Aurora, passed away on Thursday, January 11, 2018, at University of Nebraska Medical Center in Omaha. A Memorial Service will be held 11:00 A.M., Tuesday, January 16th at the Chapel of Higby-McQuiston Mortuary. Rev. Ron Harris will officiate. Inurnment will be at a later date. The family requests casual attire to the service. No Visitation. Memorials may be made to the family to designate at a later date. Condolences may be e-mailed to the family through the mortuary website at www.higbymortuary.com. 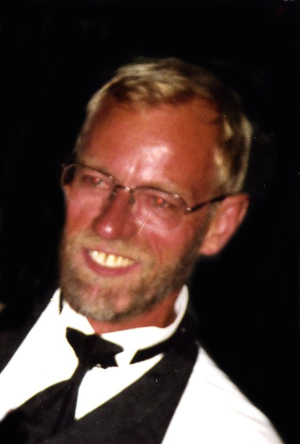 Thomas Dale Olsen, the son of Edwin Leroy (Roy) and Cleo Delores (Stienke) Olsen, was born at Holdrege, Nebraska, on November 15, 1948, and passed away at Omaha, Nebraska, on January 11, 2018, at the age of 69. He grew up in Hampton and graduated from Hampton High School in 1967. Tom served in the U.S. Army during the Vietnam War from November 20, 1967 until he was honorably discharged on November 19, 1970. When he returned, he worked for his father-in-law at K & D Auto Parts. Tom was co-owner of T & G Auto for several years. He worked at Petersen Construction before going to work for Hamilton County in the Noxious Weed Division. Tom was a member of the Aurora American Legion Post #42 and V.F.W. Post 4993. In his spare time he always had to stay busy, could have been flipping houses, going golfing, hunting or fishing. He most enjoyed attending his grandkids activities. He was preceded in death by his parents and two brothers, Scott and Chuck Olsen. Those who remain to cherish his memory are his son, Gerad (Kelsey) Olsen of Aurora and their children, Rylee, Addison and Garret and daughter, Alicia (Chris) Stewart of Shelton and their children, Ainsley, Cayleb and Jace. He is also survived by his brother, Mark (Damaris) Olsen of Hampton and sister, Kathy Flynn of Lincoln and other relatives and friends.